The Bahrain ‘rentier state’ Social revolution is moving on the right direction getting the right concession from the Arabian Night kingdom of the Khalifa’s. The youth has become the motor of change in the country. It revolution moving beyond religious or tribal lines. The Dynamic of the movement has caused less damage to the civilians population compared to the worst dictatorial regime of Mohamed Qaddafi in Libya. The Bahrain Social Tsunami has to navigate the Kalifa’s regime and most of all global powers do not want a change that decrease the oil flows to their tanks. Since the Anglo-Saxons in end of 70’s had build in the Island kingdom a system of power based on neoliberal accumulation and oil capital. They know that if Bahrain monarchy falls, then the crisis of western growth would be intensified. Bahrain may stop hosting the US Navy. Saudi Arabia will follow suit on the already boiling Eastern region over taken by a Shia majority, and would start to build on the protests already in explosive. As unrest sweeps through the Middle East, People & Power looks at the mounting pressure for reform in Bahrain. The Bahrain Khalifa gave order to kill to his inhuman security forces known for shooting unarmed civilian in the past. The King seems following the foot setps of Mohamed Gaddafi. The kingdoms crakdown on the protestors will completly distablise the process of social change to a bloody revolution. 1952. In his words as “agent of change and an advocate for democracy” which had begun two days earlier, on 25 January 2011 folowing the tradtion of his father protesting the Egyptian military dictator at its outset. ElBaradei declared himself ready to lead a transitional government if that was the will of the nation, saying that: “If [people] want me to lead the transition, I will not let them down”. Subsequently, “when he joined protesters Friday after noon prayers, police fired water cannons at him and his supporters. On 28 January 2011, ElBaradei was reported to have been placed under house arrest in Egypt. He joined Tahrir Square with the rest of the protestors against Mubarak regime and spoke directly to the people, stating that they “have taken back their rights” and that they cannot go back. His arrival became controversial largely because of the long periods of time he has spent outside of the country. 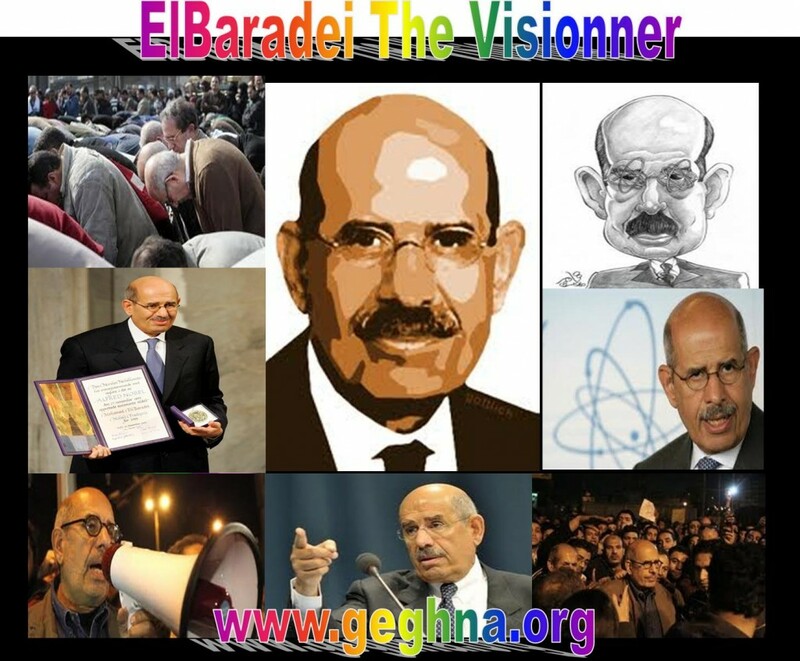 ElBaradei a born lawyer raised in Cairo, from a family of attorney Mostafa ElBaradei who was in permanent confronting with the Egyptian Military government led Gamal Abdel Nasserby as a head of the strong Egyptian Bar Association. He grew up with a militant father fighting for democratic rights, free press and legal system in Egypt . He masters like most of the Egyptian of his generation, English, and French, and off course Arabic his mother tongue. He studied law in Cairo University and like the author of the article studied in Graduate Institute of International and Development Studies in Geneva Switzerland. 1964 up unto 1980 worked in the Egyptian Ministry of External Affairs, while working for his country be able to graduated in in International Law at the New York University School of Law in 1974.. In 1980, worked in the United Nations Institute for Training and Research. From 1981 to 1987, he was also an Adjunct Professor of International Law at New York University School of Law where he studied. In 1984, he was the senior staff member of the IAEA Secretariat, serving as the Agency’s legal adviser (1984 to 1993) and Assistant Director General for External Relations (1993 to 1997). ElBaradei became the Director General of the International Atomic Energy Agency based in Vienna starting December 1, 1997 up to November 2009. October 7, 2005, ElBaradei and the IAEA as an organization were announced as joint recipients of the Nobel Peace Prize for their “efforts to prevent nuclear energy from being used for military purposes and to ensure that nuclear energy, for peaceful purposes, is used in the safest possible way”. The Arab streets declared war on ruling dictators and despots extending from Tunisia via Libya cleaning Egypt and forcing the Jordanian King to reform his government, with nonstop revolting extending from Yemen to Bahrain. Since the creation of artificial post colonial Arab states by Laurence of Arabia in the early 19th century for the benefit of the leaving colonial powers , the mass was set to sleep in long hibernation. The dominated manipulated sleeping giant 360 million strong Arabs are weakling up by social Tsunami blowing the despot away through social media as an arm of liberation as was guns in the African revival in 1960’s and 70’s liberation struggle. The new revival would eventually provoke new war in the region triggered by the Arabian night’s surviving deposits against Iran with Israel. The Libyan killer orders the shooting of his people over 70 innocent in the week end and lost the control of the country except the capital and the protesters cried “Gadaffi Go Go To Africa join the dictators”. The worst come form century old Califa of Bahrain thinking he is in the Arabian nights orders his swards over his people. At un number protesters were killed only 4 were accounted, while the number will soured over 100 in a bloody crack-down in Bahrain after tanks ordered by the Califa king entered the capital and security forces smashed a tent city in the main square, opening fire with grapeshot. The situation is fraught with risk since a Sunni monarchy minority rules a Shia majority with mixed Iranian ancestry and big ties to Tehran. 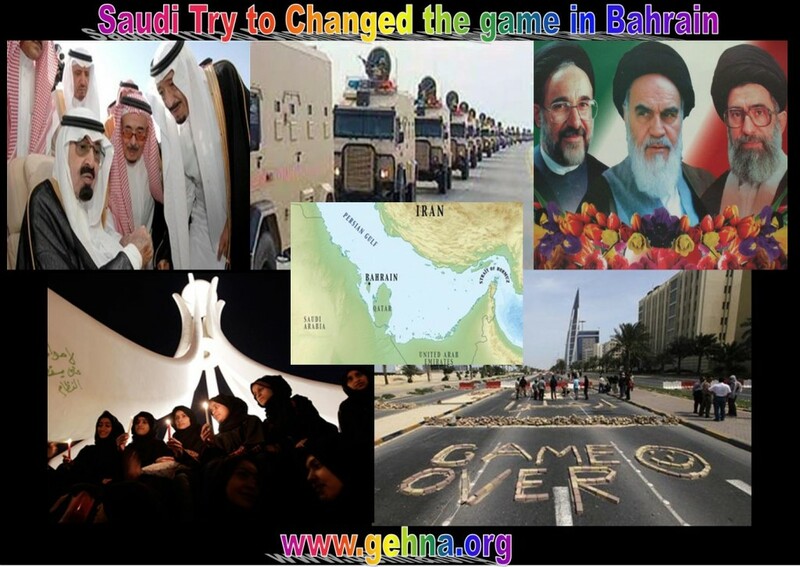 The Saudis have already dispatched troops and equipment to put down the uprising before the social Tsunami. Iran is preparing to send two warships through the Suez Canal to support its Syrian ally led to hot words with Israel. Kaddafi, the worst of the Arabian despot just killed cold bloody 20 people to stop the “Day of Anger” , while there was a fifth day of violent clashes in Yemen continue menacing the to break the country to two. Arabian revival increasing oil prices are becoming a threat to the global economy, hitting the net oil consumers of China, Europe, and Japan the most not sparing US. 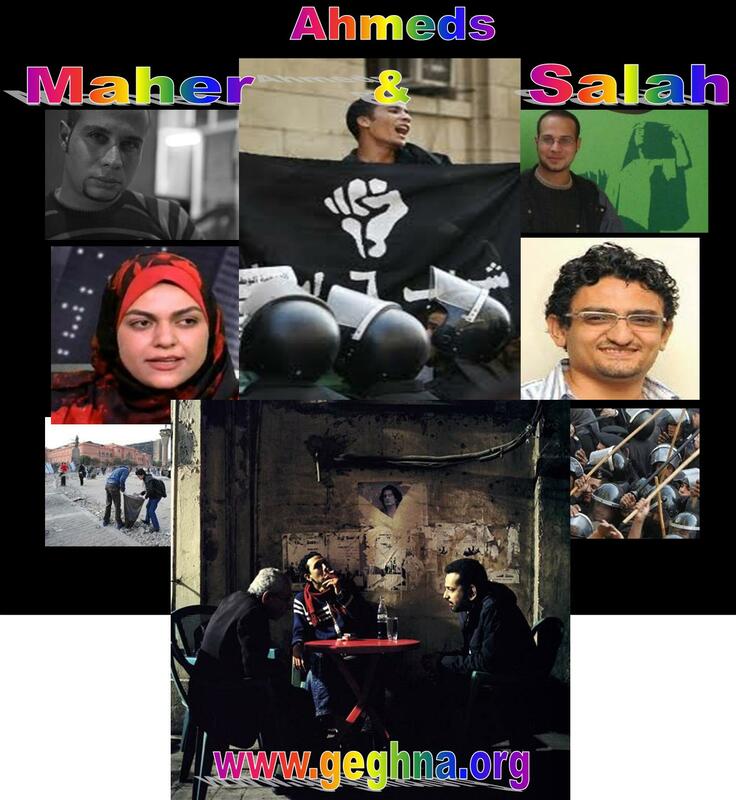 Maher & Salah, SHABAB 6 APRIL Social Media bloggers led the Egyptian social Revolution that changed the country forever.. The Egyptian social Tsunami has started by a faceless face book Social Media movement known as the April 6 Movement’ has been organizing the last three years. It took the Tunisian uprising to get it a new social dynamic as spring board to start the protest. 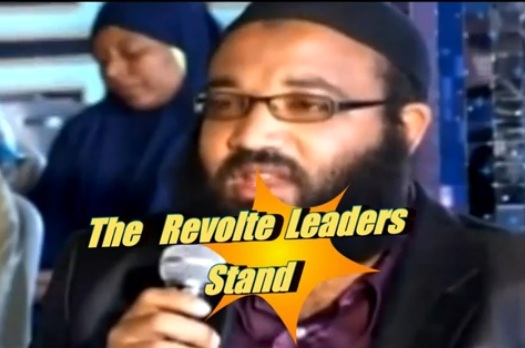 They are the main organizers of the l upheaval that swept away the government of Hosni Mubarak. Formed around three years ago, the loosely organized social network forum had never foreseen for itself back then a role as vehement as it holds currently. The three years old movement started is seeds in the Egyptian workers movement similar to the polonaise movement of solidarity in 1980s but equipped with a social media at their service and disposal and younger groups than that of the Eastern Soviet satellite state in is time. The movement was started three years ago by young internet activists Ahmed Maher and Ahmed Salah in order to mobilize support for striking industrial workers El-Mahalla El-Kubra. They used the power of media and organize people to support the cause of the workers, who were planning a strike April 6, 2008. The young bloggers called on the supports and the participants to wear black and stay home the day of the strike. Bloggers and citizen journalists used Face book, Twitter, Flicker, blogs to inform one another and the general public about the protest. In Egypt only about one in nine Egyptians has Internet access, and around 9 percent of that group are on Face book which make a total of 800,000 members. If we compare even that much of Ethiopians are not connected in Diaspora leave alone in the country. The recent estimate only one out 10 Ethiopian in Diaspora consult the internet today. Under Mubrak Egyptian are legal prisoners of his system like Melese Zenawie of Ethiopia. The only out let to the young Egyptian is the social media. Under Mubarak an estimated 18,000 Egyptians were imprisoned. The Egyptian police used to arrests people without any charges. The government has banned political organizations and makes it illegal for more than five people to gather without a license from the government. All Newspapers are monitored by the Ministry of Information in order not to criticizing Mubarak. Thus the main base of the movement is the country’s media orientated youth, since they are the main benefiters of social media for social change. The April 6 movement a youth coalition and says they are not political party and that it will not contest elections. The Mubarak regime had sensed the movement back May 2008 by arresting Maher and found nothing tangible and realized him, and in July the same year as a provocateur and unrest organizer then. His co organizer of Social unrest through social media, Ahmed Salah, was finally arrested last week but it was too late to stop the volcano. April 6 Movement Manifesto ! “We are a group of Egyptian youth brought together for the love of Egypt and the desire for reform … Although the vast majority of us do not belong to any political trend or linked to politics , however, we are determined to complete the road, we believe we can continue from where others stopped.. We are convinced of our ability and our right to change this sad reality… We have agreed on the patriotism and sacrifice for it and the desire to reform this nation, we started on, April 6 2007 this historic day in the lives of Egyptians and Egyptian political movements, as we have with some parties and political forces called for a general strike that day to protest against the deteriorating living conditions, and we had to call for the strike by all means, including the popular Face book site, and there was a great response to the strike, where most students did not go to schools and universities that day, and most employees from different governmental sectors did not go to work, and the streets were almost empty all over the country, but the largest response to the strike was in the town of Mahalla , where Mahalla inhabitants stood against the blind stick of security ,as people took place in the mass protests ,faced the security and their tear gas and bullets, injuring dozens and killing three people and arresting hundreds of Mahalla people, despite the heated situation in the danger area Youth April 6 did not miss sharing Mahalla people their crisis and witnessing the arrogance of the security, and the violence against the people of Mahalla protesters and they also witnessed the destruction of Mahalla by thugs hired by the Security to complete the series of burning and destruction of the town of Mahalla , the castle of Egyptian industry. Young people went out on April 6 heading towards downtown in Cairo to protest and actually a large number of April 6 youth went out to the streets that day, where some of them got arrested , and some of them continued detention for more than a month, and some were released on the same day. Despite all that Youth April 6 refuses to surrender or retreat, they decided to complete the journey towards changing the current situation and reform the result of more than a quarter century of corruption and emergencies. We Youth April 6 movement believe that the change and reforming of Egypt will not happen by claims or petitions, we will achieve it by providing real alternatives and real solutions to find a real alternative for political, economic and social Renaissance in Egypt that provides stability and security of the Egyptian citizen. And we Youth April 6 movement believe that this will happen only by the move of young people – as they are the real one who will benefit from the change when it happens, as they exceed 60 % of the Egyptian population..
Our youth are the future leaders and our energy today. And the cooperation of all political forces to unite and work together to bring about change for the reform of Egypt and get rid of the corruption, destruction and waste of wealth for more than a quarter of a century. In the end, we do not call for a new group… Or a new party, but we call on all Egyptians (individuals – communities – parties – (dedicated in all sectors) to meet at one project: the awakening of the people to stop the unjust oppression of the corruptive gang and the elimination of corruption and despotism. 2011/2012 the year the earth is changing & cleansing itself while the inhabitants of the planet due to the high rate of the catastrophe are no more linnet to support the incapable tyrant who reign over them and use the international aid for their personal ends. 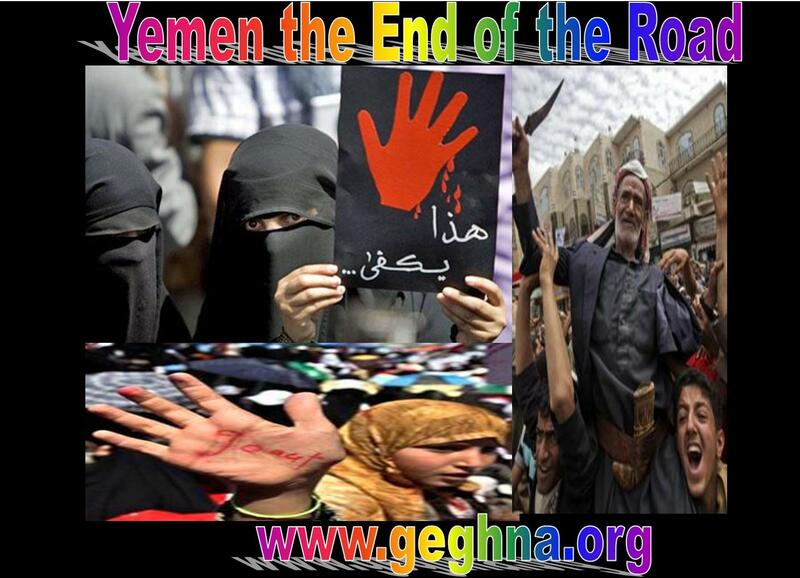 The global catastrophes are announcing the end of the dictators around the world. 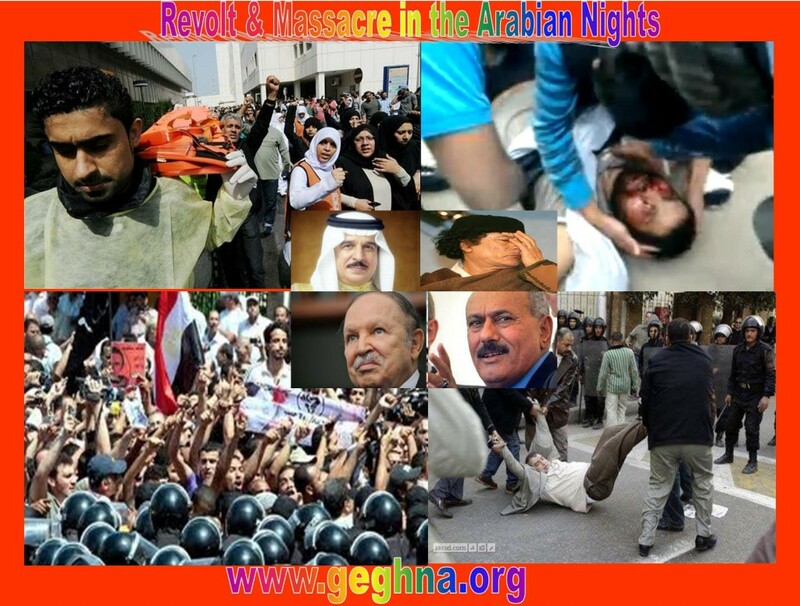 The Tunisia and Egyptian revolt is the being of the end of all dictators. 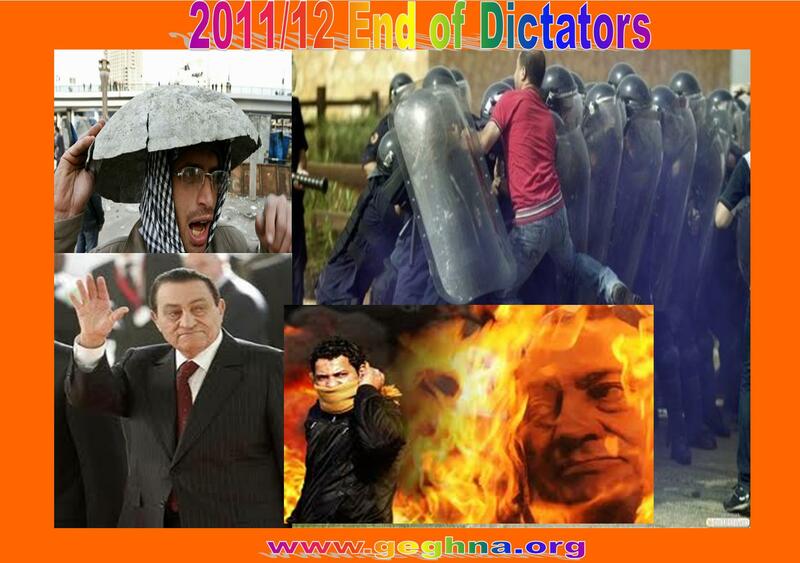 The Egyptian showed to the world how they will defeat the most outrageous dictator in Africa Hosni Mubarak. Egyptian resistance is harsher than that of the Tunisia. The coming fight against the African dictators of the Horn of African will be bloody unless their sponsor forces them to relinquished power by depriving them their blind support. In his last days, the Egyptian dictator ordered his security police to attack the protestors dressed in civil cloths after disarming the protestors? The security van dashed through civilian protestors and passed crushing itself through. The Egypt police van video is just another example of violence in Egypt. Several journalists have been attacked in the streets of Cairo. Despite the chaos, another massive Cairo protest in planned for today Friday, February 4. The Mubarak ordered the soldiers to shoot on site and at the same time ordered his puppet newly handpicked Prime minster to excuse for the death of the protestors the last three days. The dictator of the Arabian nights claimed his 62 years service at the same time forgetting Egyptian are beating and crashed by his security forces in the disguise of his supports. Thursday Gunfire erupted in downtown Cairo again Thursday afternoon when anti-government protesters broke out of their barricades on the edge of Tahrir Square. It was the second day of violent clashes between the insurgents and s the security forces disguised as supporters of Egyptian deadly dictator Hosni Mubarak. Soldiers fired over the protestors’ heads though they were told to shoot by the dictator in his last days attempt to push them back. Mubarak’s security forces disguised as his supporters in civil cloths and anti government protestors are well aware that the army has pledged not to use force, rendering the small number of soldiers on the ground ineffectual, reduced at times to trying to wave them away. The army had attempted to keep the two sides far enough apart so their stone-throwing would be ineffective — planting tanks and soldiers in the no-man’s land of what had become enemy lines — but the protesters’ shift out of Tahrir Square onto open ground near the Nile River greatly complicated the soldiers’ task. Yom Jumaa a potentially larger confrontation loomed Friday, the main prayer day of the Muslim week, when protest organizers have called for a redoubling of efforts to force Mubarak to step aside though he told reports that he will resign as soon as transitional regime is set in order to stop coming chaos . His western allies knowing that they will not save their protégée from the Social Tsunami demanded a swift political transition, the newly appointed puppet prime minister, Ahmed Shafiq, called the storming of the square on Wednesday by pro-Mubarak partisans a “fatal error” and pledged to investigate who had masterminded it, knowing his master the dying dictator Mubarak did it. On Wednesday the dictator order an onslaught, which left at least dozen people dead and hundreds injured, produced surreal scenes, most notably a horse-and-camel charge by the attackers like the olden war in time of the great Egyptian leader Mohamed Ali. The two sides battled for hours with crude weapons, protestors used – sticks, stones, bottles, cudgels — while the dictator’s security men in civil dress used gunfire and firebombs aimed at the square’s defenders of liberty. As always the dictator regime has denied fomenting the violence and distanced itself from the storming of the square. But organizers of what had heretofore been peaceful protesters in the square say the assailants — who staged wave after wave of well-coordinated attacks — were acting at the behest of the 82-year-old Egyptian leader and that their ranks included plainclothes police and criminals sprung from jail for that purpose. Finally on Thursday, unlike the previous day, those disguised as the supports of President Hosni Mubarak, the armed security men were outnumbered. They were also extremely angry, taking out their ire on Western journalists who they see as misrepresenting them as the cause of the continuing violence. In the afternoon of Thursday, the principal flashpoint remained a contested stretch near the world-famous Egyptian Museum, which abuts Liberation Square. Pro-Mubarak f security forces roamed freely in other downtown areas. Losing ground the security of men was seen confiscating food and water apparently meant for the square’s defenders. The disguised security forces of Mubarak were attacking foreigners, and foreign journalists in particular, were menaced. The insurgents took over the city of Cairo, Alexandria and Sinai and set up impromptu checkpoints, pedestrians and motorists were ordered to produce identification _ a token of the vigilante system that has taken hold across Egypt. In incongruous scenes, some protesters in the square prostrated themselves in prayer while a hail of rocks fell nearby. On the square’s fringes, men smashed railings to make metal clubs. Some people wore motorcycle helmets, or swaddled their heads in blankets. On Wednesday the dictator order an onslaught, which left at least five people dead and hundreds injured, produced surreal scenes, most notably a horse-and-camel charge by the attackers like the olden war in time of the great Egyptian leader Mohamed Ali. The two sides battled for hours with crude weapons , protestors used – sticks, stones, bottles, cudgels — while the dictators security men in civil used to gunfire and firebombs aimed at the square’s defenders of liberty. In the afternoon of Thursday, the principal flashpoint remained a contested stretch near the world-famous Egyptian Museum, which abuts Tahrir (Liberation) Square. Pro-Mubarak f security forces roamed freely in other downtown areas. Losing ground the security of men was seen confiscating food and water apparently meant for the square’s defenders. The pro democracy forces captured and detained dozens of pro-Mubarak security attackers, placing them in a makeshift holding area before periodically handing them over to the army, rendering rough justice was sometimes dispensed on the spot for suspected killers. The overdue Egyptian dictator Hosni Mubarak appeared on television late Friday for the first time since the eruption of the North African social Tsunami on the streets of his capital, refusing to accede to popular demands he fired everybody but forgot himself as a dictators. The modern Egyptian Pharaoh Mubarak announced that he was dismisses the Egyptian government and that he would see to appointing a new government just in overnight, like he would buy it from down town Giza besides the pyramid. Arbo African dictator of the Nile not knowing the end has come when he declared that he will press ahead with social, economic and political reforms after three decades of forgetting. He is not ashamed to praise the security forces’ crackdown on protesters. Protesters have seized the streets of Cairo, battling police with stones and firebombs, burning down the ruling party headquarters, and defying a night curfew enforced by a military deployment. 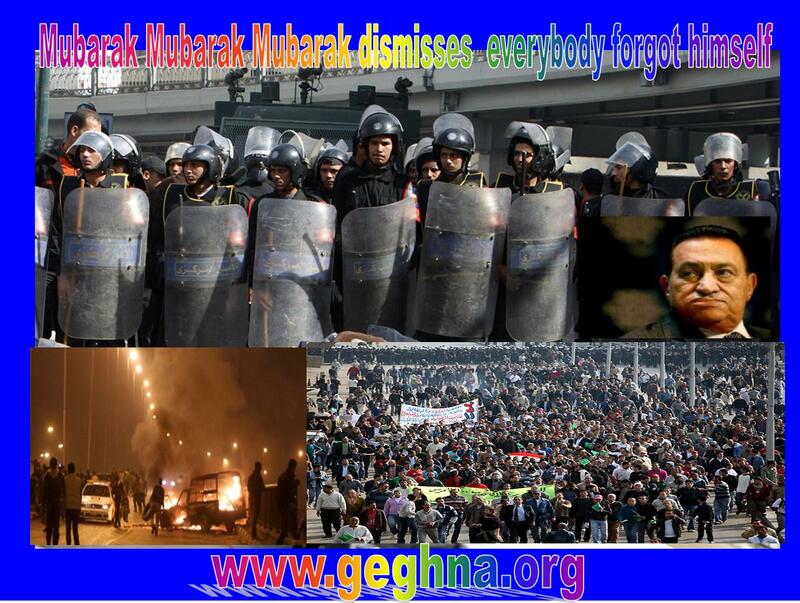 It is the peak of unrest posing the direst threat to Mubarak in his three decades of authoritarian rule. The government’s attempts to suppress demonstrations appeared to be swiftly eroding support from the U.S. – suddenly forced to choose between its most important Arab ally and a democratic uprising demanding his ouster. Washington threatened to reduce a $1.5 billion program of foreign aid if Mubarak escalated the use of force. The protesters were sure to be emboldened by their success in bringing tens of thousands to the streets in defiance of a ban, a large police force, countless canisters of tear gas, and even a nighttime curfew enforced by the first military deployment of the crisis. While Cairo is burning not be the same again the smoke rose in cities across Egypt as police cars burned and protesters set the ruling party headquarters in Cairo ablaze. Hundreds of young men tore televisions, fans and stereo equipment from other buildings of the National Democratic Party neighboring the Egyptian Museum, home of King Tutankhamen’s treasures and one of the country’s most popular tourist attractions. Young men could be seen forming a human barricade in front of the museum to protect it. The protestors are seen around the city looted banks, smashed cars, tore down street signs the images of the dictator and pelted armored riot police vehicles with paving stones torn from roadways. Mubarak seemed faced with the choice between a deadly crackdown and major concessions to protesters demanding he step down this year and not hand power to his son, Gamal. The once-unimaginable scenes of anarchy along the Nile played out on television and computer screens from Algiers to Riyadh, two weeks to the day after protesters in Tunisia drove out their autocratic president. Images of the protests in the smaller North African country emboldened Egyptians to launch four straight days of increasingly fearless demonstrations organized over mobile phone, Face book and Twitter. The government cut off the Internet and mobile-phone services in Cairo, called the army into the streets and imposed a nationwide night-time curfew. The extreme measures were ignored by tens of thousands of rich, poor and middle-class protesters who united in rage against a regime seen as corrupt, abusive and neglectful of the nearly half of Egypt’s 80 million people who live below the poverty line of $2 a day. Until Mubarak’s brief appearance on television early Saturday morning, he was ducking from appearance or statement and other senior figures in the regime were also notably absent. Security officials said there were protests in at least 11 of the country’s 28 provinces, and unrest roiled major cities like Alexandria, Suez, Assiut and Port Said. At least one protester was killed Friday, bringing the death toll for the week of protest to eight. Demonstrators were seen dragging blooded, unconsciousness fellow protesters to waiting cars and on to hospitals, but no official number of wounded was immediately available. According to medical sources at least five protesters have been killed and 1,030 wounded in Cairo. Thirteen were killed in Suez and six in Alexandria, putting the current death count at 24. The crowd included Christian men with key rings of the cross swinging from their pockets and young men dressed in fast-food restaurant uniforms. In downtown Cairo, people tossed cans of Pepsi and bottles of water to protesters on the streets below to douse their eyes, as well as onions and lemons to sniff, to cut the sting of the tear gas. The US is in attainable position being between the hammer and the hard thing. It high time the US changes its position and be to the right time of history to words the Horn of African dictators like Melee Zenawie, since the force of change will eventually burn African dictators too. Obama administration appealed for Egyptian authorities to respect the rights of citizens and halt the crackdown on swelling anti-government protests. It again urged the government of Egyptian President Hosni Mubarak to bend toward demands for political and economic reform. The State Department urged Americans to defer any non-essential travel to Egypt. Protesters appeared unfazed by the absence of Nobel Peace laureate Mohamed El Baradei, one of the country’s leading pro-democracy advocates. The former head of the International Atomic Energy Agency was soaked with water cannon as protests erupted after Friday, and then prevented by police from leaving after he returned to his home. Release all prisoners including protesters and those who have been in jail for years without charge or trial; and immediately fire the interior minister. The Egyptian Dictator, Mubarak has not said yet whether he will stand for another six-year term as president in elections this year. He has never appointed a deputy and is thought to be grooming his son Gamal to succeed him despite popular opposition. According to leaked U.S. memos, hereditary succession also does not meet with the approval of the powerful military. The diehard dictator and his government have shown no hint of concessions to the protesters who want political reform and a solution to rampant poverty, unemployment and rising food prices. Mubarak continuing the heavy-handed methods used by the security forces the past three days would probably buy the Mubarak regime a little time but could strengthen the resolve of the protesters and win them popular sympathy. 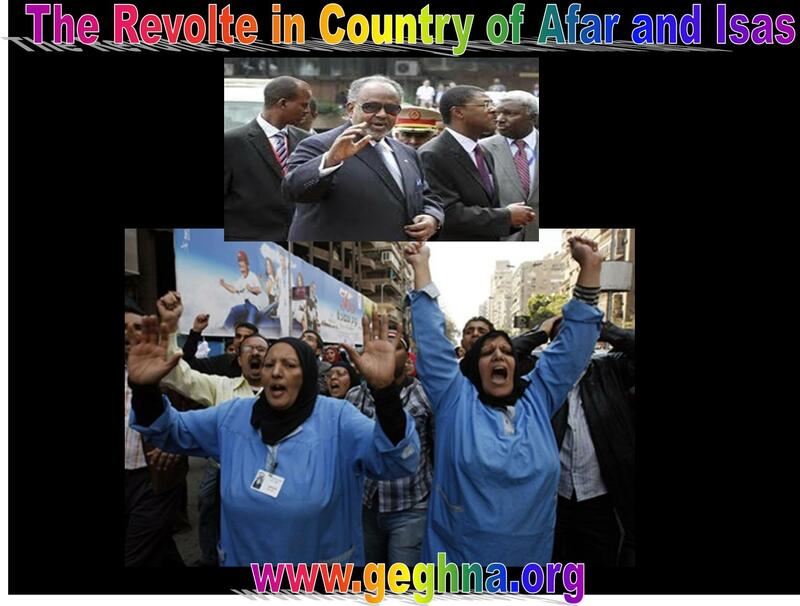 The alternative is to introduce a package of political and economic reforms that would end his party’s monopoly on power and ensure that the economic liberalization policies engineered by his son and heir apparent Gamal over the past decade benefit the country’s poor majority. Even if he lift the emergency laws in force since 1981, loosen restrictions on the formation of political parties and publicly state he will not stand for another six-year term in elections this year, will not save him. Egypt’s four primary Internet providers – Link Egypt, Vodafone/Raya, Telecom Egypt, Etisalat Misr – all stopped moving data in and out of the country at 12:34 A.M. Friday, according to a network security firm monitoring the traffic. Telecom experts said Egyptian authorities could have engineered the unprecedented cutoff with a simple change to the instructions for the companies’ networking equipment. The Internet appeared to remain cut off in Cairo but was restored in some smaller cities Friday morning. Cell-phone text and Blackberry Messenger services were all cut or operating sporadically in what appeared to be a move by authorities to disrupt the organization of demonstrations. The African and the rest of the Arabic dictators will soon pay the same price and not one will save them from the coming street social Tsunami of 2011. We heard many dictators are moving their families to the west fearing the coming social eruptions. The illusive so call peace with ONLF (Ogaden National Front), and the government of the genocidal regime of Melese Zenawie of Ethiopia claimed has liberated all the prisoners of ONLF proved farce. In reality the true ONLF is still fighting the regime. 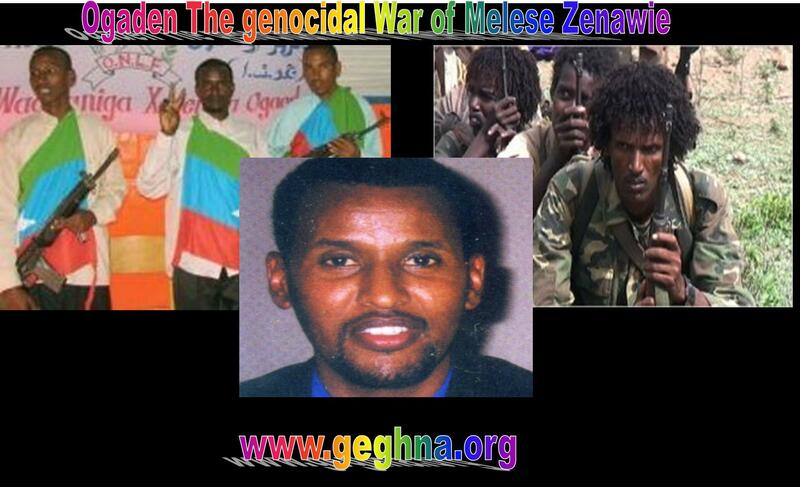 The so called “ONLF” that strike a peace deal with Melese Zenawie is the proxy movement made and prepared by dictator for local and international consumption to prove that the war and the genocide in Ogaden region is finished. This game is to assure the international oil drillers the safety of the regions. The resent declaration of the True ONLF from Landon and the continual imprisonment of its member the Canadian Ethiopian Bashir Makhtal who was betrayed by the corrupted Kenyan police and given to Melese Zenawie proved and divulgated the reality. Whenever any dictatorial regime declares peace with anybody that means the war continues. It is proved in Somalia and with his Brother in Arm Eritrean Shabia. The true lasting peace will come when the genocidal regime of Melese Zenawie is swept away by Human social Tsunami that blow the Tunisian dictator Ben Ali. The recent Bashir Makhtal’s letter smuggled out from the most notorious African prison describes his anger on the Canadian government letting him languish since he is black and African. The Canadian in prison proved that the federal government in Ottawa plays double standard at home and with Ethiopian regime. The letter, which was smuggled out of an Ethiopian jail, will be released at a news conference in Ottawa 22 January, 2011, a Memorial Day Makhtal’s rendition by the Kenyan corrupted official to Ethiopia dictator repeating the same crime they committed with that of the Kurdish PKK leader Abdullah Ocalan PKK to Turkey. This will not solve the “Somali Question» neither in Kenya nor in Ethiopia like that of the “Kurd national Question “. In both cases the war and the killing continue. The Kenyan ICC Killers are known for putting oil on the fire so long as they are paid. Their time has come to face The Hague to International Justice for the Crime against humanity for the mass killings they committed against the innocent Kenyan in 2007 election. Makhtal was condemned a life sentence in a prison in Addis Ababa refusing the deal he was offered by Melese Zenawie regime to denounce ONLF. He was charged with multiple counts of terrorism for allegedly being a ringleader with the Ogaden National Liberation Front. The Ethiopian dictator punishes families to three generation for the role of his father Makhtal’s grandfather, Makhtal Dahir, was one of the co-founders of the organization. “I am an innocent civilian on the death row … I am guilt(y) by birth,” he writes. Makhtal had returned to Africa and started a successful second hand clothing business in 2002, where he got caught while running from the invading Meles Zenawie regime on Somalia Kenya border in 2006 fleeing with all the refugees. The Kenyan corrupted police, the day before his court appearance, sold him to the Ethiopian regime. The day the tribunal he found himself on the way to Addis Ababa. The Ottawa government did not act at all while other nationals are being freed son after. The Ethiopian regimes so-called “peace deal” with the Ogaden branch of the now defunct Al-Itihaad Al-Islaami (AIAI) organization known as the United Western Somali Liberation Front (UWSLF) has no impact on facts on the ground in Ogaden and represents an attempt by the regime to promote the idea that a non-existent peace process is underway in Ogaden. The so-called UWSLF was created to act as the Ogaden chapter of the AIAI organization. Its ideology and methods were counter to the interests of the people of Ogaden and were therefore rejected by the people. USWLF assisted by external elements sought to establish a functioning presence in Ogaden during the last few years but failed to do so. When UWSLF sponsors ceased to provide financial and material support for the AIAI affiliate, the leadership of the UWSLF was left with no option but to surrender to the Ethiopian regime. The regime saw this as an opportunity to forward the impression that it was pursuing a legitimate peace process and making significant security gains in Ogaden in order to alleviate the fears of potential investors in the oil sector and also out of increasing concern over persistent accusations that the regime is engaged in collective punishment, war crimes and crimes against humanity in Ogaden. Promoting a fictitious peace process with actors having no impact on facts of the ground in Ogaden, and potentially other conflict areas in the future, is also part of the regimes strategy to deviate attention from the most recent stolen election in Ethiopia in which the regimes ruling party and its allies illegitimately secured 545 out of 547 seats in the national assembly. The Ogaden National Liberation Front (ONLF) wishes to make clear to all interested parties that the UWSLF has no constituency in Ogaden nor does this so-called “peace agreement” with the Ethiopian regime impact in any way facts on the ground in Ogaden. The ONLF wishes to further affirm that any legitimate peace process aimed at reaching a just, comprehensive and lasting political settlement to the conflict between the people of Ogaden and successive Ethiopian regimes can only be achieved through an internationally mediated process, taking place in a neutral venue. The Ethiopian regime continues to refuse international mediation of the conflict and has therefore pursued bogus so called “peace agreements” with entities that are either non-existent or have no constituency in order to create the impression that there is a peace process underway in Ogaden. statements to the contrary by the Ethiopian regime are a diversionary tactic by the ruling Tigray Peoples Liberation Front (TPLF) party. The Arbo African dictator Tunisian Prime Minister Ben Ali is forced out by the Social Internal Social Tsunami on the street of Tunisia. The 1st month of 2011 is announcing by floods inundating many cities across the world. 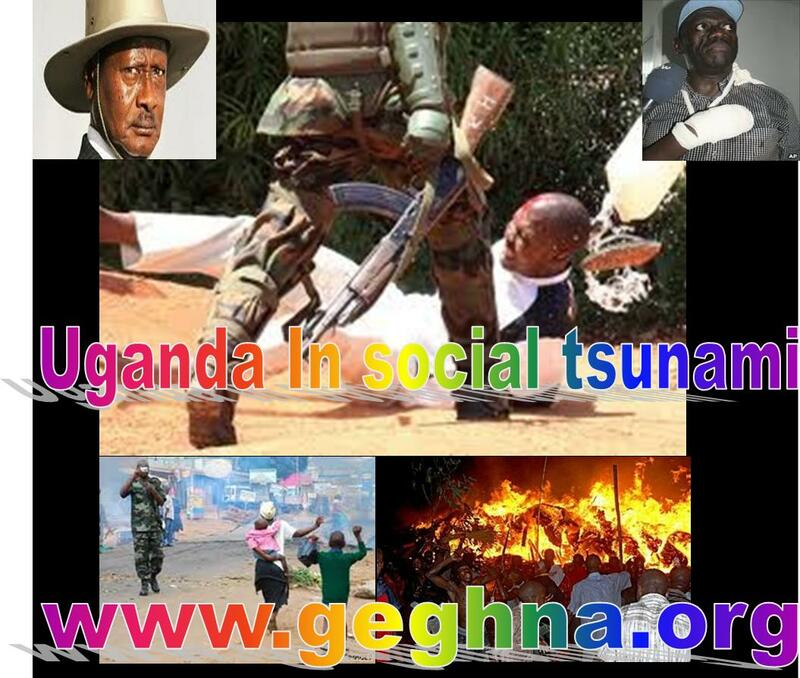 Human deluge in its turn has started to cleanse the African tyrants. Other Arabs and Africans must follow the example set by the Tunisian to depose their dictators without expecting a miracle to fall from sky or unknown outside force to help them out. This Internal Social Tsunami is set to take over by the increasing food price in the countries like the famine stroke Ethiopia where recently prices are kept artificially down against all odds by dictatorial decrees.Arab streets are now highly touched by these social deluge and their are moving – Algeria, Jordan, Morocco and Egypt is expected soon to follow in order to remove their militaristic dynasties in power. “A dark and bloody page in Tunisia’s history has been turned with the departure of the dictatorship,” Maya Jribi, secretary general of the Progressive Democratic Party, the country’s main opposition party declared to international media. I t seems that the three who are call the new trilogy are the continuation of the Ben Ali and surely are not a new face of change . The news was met internationally with calls for Tunisians to form a new government in as peaceful a manner as possible. Ben Ali, a 74-year-old former interior minister, had been president of the North African country since 1987, replacing self- styled “president for life” Habib Bourguiba when he was deposed in a coup. His departure comes after a month of anti-government demonstrations that were brutally repressed by the police. More than 60 protesters have been killed since mid-December, most shot dead by police firing on crowds with live bullets. A state of emergency was declared in Tunisia on Friday evening. The army took control of the main airport in Tunis and Tunisian airspace was closed. As a last gesture in a day where tens of thousands of people had again demonstrated nationwide, Ben Ali had fired his government and announced early elections. But the demonstrators demanded nothing less than his immediate exit. Friday’s protest in Tunis began peacefully but descended into chaos after the police fired tear gas into the crowd, causing a stampede that reportedly killed four people. Ben Ali, who has been in power for 23 years, had been on the ropes since the authorities began firing on demonstrators protesting unemployment and high food prices since mid-December. The police brutality shocked citizens of the habitually stable country, which lives mainly off tourism and agriculture, and fanned the flames of protest. On Thursday Ben Ali was still trying to cling to power until the end of his mandate in 2014, telling Tunisians in a television address he was committed to democracy and “very sad” about the civilian deaths. Yet, even after his television appearance, police continued to shoot at rioters who defied a curfew in Tunis, killing 13 people in two separate neighborhoods. The protests began in the central town of Side Bouzid on December 17, with the self-immolation of a desperate, hard-up vegetable vendor outside a government building. His action ignited a wave of protests that tapped into widespread discontent over high youth unemployment, rising food prices and rampant corruption. I t is heard that the horn of African dictators are tightening their security not follow Tunisian model. The Arabs are moving in Algeria and Jordan through the social media and Blogs to bring lasting social change. If Oromos are Ethiopians and Ethiopians are Oromos too Why “Exclude” ? I am writing this letter on behalf of the Oromo Studies Association (OSA), a scholarly, multi-disciplinary, non-profit international organization, established to promote studies on and relevant to the Oromo people residing in East Africa, mainly in Ethiopia with a population close to 50 million. The Executive Committee of OSA is very excited to learn that the Bureau of African Affairs in the US State Department is organizing a seminar/ conference on Ethiopia on April 5, 2010. OSA is following the issue of this conference with a great deal of interest, because Ethiopia is at the crossroads due to the upcoming election in May of 2010. We were even more excited when we learned that Professor Asafa Jalata, a renowned Oromo-American scholar, was invited to participate on this historic seminar and make a presentation on the current Ethiopian situation from the Oromo perspective. However, our excitement had soon changed to sadness and depression when we learned that he was later on told that he could not participate in this seminar because he was an Oromo. We further learned that some of the peace-loving organizers of the April 5, 2010 seminar walked out from the process, protesting that debarring Oromo experts from participating in this seminar was a discriminatory action by itself. To make the situation even worse, when asked why Professor Jalata was prevented from participating on the conference, the lead organizer of this seminar declared that “the seminar has been canceled.” But then we learned that, this was in fact not true and the preparation for the planned conference was proceeding as scheduled. We believe that this is a clear indication of making undemocratic decisions behind closed doors, because the assertion that “the seminar was canceled” was simply a cover-up. Change and transparency are the motto of our current President Barack Obama, and it is our strong conviction that the State Department should function under the same motto. The Oromos, who constitute about 50% of the current population of Ethiopia, have lived under discriminatory and minority rule for over a century now. First, by the Amhara minority ruling class (from Menelik II (1889) to Mengistu Hailemariam (1991)), and now, by another minority Tigrean ruling class led by Meles Zenawi and his TPLF (Tigrean People’s Liberation Front) party, all this time by strong support and endorsement of Western powers, mainly the United States. The current minority TPLF leadership has received support and endorsement in 1991 at the so called “London Conference” by the then US Assistant Secretary of African Affairs Herman Cohen. The regime continues enjoying US support since then at the expense of marginalization, discrimination, and humiliation of the entire non-Tigrean population of Ethiopia, mainly the Oromo population. We Oromos believe that we are (and have been) seen as second class citizens by the successive Ethiopian regimes and their cliques and our brothers and sisters at home continue to live under humanitarian harassment, economic exploitation, discrimination and humiliation. It truly hurts our feelings when we learn that, the same discrimination is, not only endorsed on us (Oromos), but in deed applied to us by the leadership of this great country of ours, the United States of America. If justice were to be served, because majority of the Ethiopian population are Oromos, it goes without saying that most of the participants of the seminar should be Oromo experts based on majority democratic principles. We believe that such an important conference will be successful when and only when all the stakeholders are proportionally represented and when all voices are heard. Therefore, we ask your genuine interaction with Ms. Rachel Warner to enable her to welcome Oromo experts to participate in the April 5, 2010, seminar/conference on Ethiopia. OSA believes that democracy, human rights, security, stability, and development in Oromia and in Ethiopia cannot be promoted without the free participation of the Oromo people, the largest ethnonational group in Ethiopia. Thank you for your democratic leadership, and we hope to hear from you soon. Oromo: If United, We Can Make a Difference Even in the Horn! The conference prepared by OACC in Minessota has initiated a very good discussion among different parts of Oromo community, including those who support the obsolete mindedxeqilaigizat-federalists (x-federalists), those serving the Weyane fascist fake-federalists (f-federalists) and those promoting the foresighted killil-federalists (k-federalists). It is crystal clear that these Oromo groups can decide on the future situation in the empire like answering the question, who should take power from the fascist fake-federalists in the coming “election” 2010: the kilil-federalists or the xeqilaigizat-federalists? Thanks to the Oromo people and to Rabbi/Waaqayyoo, every political group in the empire nowadays claims to be a federalist. They no more brag and preach about a unitary imiye Ethiopia or about Abbay Tigray. The unitarists who untiringly cry about the imiye could now know that, without the rhetoric of federation, they can win no single vote of Oromo. The hegemonist Weyanes changed their program of Abbay Tigrai just as they had come to Oromia. But now, it seems their power base is shaking. The next question seems to be: who will take power in the coming “election” from the Weyane fascist fake-federalists (from the FFF, who are almost similar to the KKK of USAmerica)? The k-federalists led by MEDREK or the the “anti-Killilistan” forces, who are x-federalists and led by MEAD aka AEUP? Time will show us which one of them will succeed. The best remedy against the fascists would have been the further conversion of the unitarists from their present position of supporting x-federation to the position of supporting k-federation. That means recognizing the right of Oromia to exist and the right of the Oromo nation to self-determination, instead of still trying to dismantle Oromia with the pretext of struggling for the x-federalism (for geography-based federalism). – Xeqilaigizat-federalist (x-federalists) parties like AEUP, EDP, EPPF and, EPRP (*note that the position of G-7/UDJ is ambiguous*). – Fascist fake-federalists (f-federalists) of TPLF and its slaves like ANDM, OPDO, SEDM and SPDP. No question that the fascist f-federalists will die a natural death inthe near future. The only question to be answered is: who will take over? The k-federalists or the x-federalists? Or will the fascist f-federalists survive further by playing the “divide and rule” game using k-Federalists vs. x-federalists? The best solution would have been that x-federalists give up their obsolete xeqilaigizat view and join the k-federalists by accepting and respecting the God-given right of Oromo to have Oromian autonomy in the Ethiopian context and by acknowledging the same right to other nations and nationalities of the empire, so that we can have only ONE very strong k-Federalist camp against the fascist f-federalists. Unfortunately, the leader of MEAD opposed to join MEDREK and signed the Code of Conduct with the leader of the fascist f-federalists, and with that he gave Weyane the chance not to lose power in this coming “election”. That is why, specially Oromo rallying behind the x-federalists and the fascist f-federalists should decide now which way to go. They better ask themselves: what is next for their own people (the Oromo people), just like Oromo in Minnesota did. The politically-conscious nationalist Oromo seems to have decided that the next step for the Oromo people must be the securing of the true k-federation. They started to say: let us talk and walk now the k-federation. The time (the phase of the liberation journey) is in reality the time to struggle for true federation. The question asked to be solved in the panel discussion of Minnesota was “What is Next for the Oromo People?”, and the answer suggested was mostly, “the next is a move to a true federation (true Oromian autonomy). That means the next measure to be taken for our people is to engage our coordinated words and works to promote our move towards the next step of our liberation journey, i.e. a move to a true k-federation and then ask again “What is Next for Our People?”. This question will be asked further till Oromo people decide per referendum (self-determination) and declare that “we have achieved our objective.” Without such determination of our public regarding our destination, the simple assertion of individuals or organizations that “we have already achieved our objective” does not work. – Oromo liberators’ end-kaayyoo of only isolated Oromian independence, without taking into consideration the possible further move to a union of independent nations. Actually, the best and the beneficial common END can only be the voluntary union of independent nations aka regional walfaanummaa with/after national walabummaa based on self-determination of the partaking nations of the region. Even though self-determination is the generalkaayyoo for the nation concerned, the political organizations struggling for the right of their nations must be able to formulate a concrete kaayyoo they think should be the outcome of the self-determination. To make it clear, I do want to try to describe here, that the concepts bilisummaa(liberation), abbaabiyyummaa (sovereignty) and hire-murtefannaa (self-determination) can not serve as a concrete kaayyoo (concrete outcome of the national self-determination) for the Oromo liberation fronts and for the Oromo political parties. – Abbaabiyyummaa: which is not per se a concrete kaayyoo to be used by the political groups for we can claim to be abbaabiyyaa in all the three possible outcomes of our self-determination, that means abbaabiyyaa in a form of only Oromian autonomy or in a form of only Oromian independence or in a from of a union of independent nations. – Bilisummaa: which is the common denominator for all our liberation fronts/parties who do struggle against the status quo (against garbummaa Oromo). So we can also claim to have bilisummaa in all the above three outcomes of our self-determination (the Oromian autonomy, the Oromian independence or the union of independent nations), that means it also cannot be a concrete goal to be advocated by our specific fronts/parties, so that the public decides for/against it in a referendum. Actually, it is the virtue, which all political organizations want to achieve before we do have a chance to exercise a referendum. – Hiree-murteefannaa: which is obviously the general goal of the Oromo people, but it can not serve as a concrete goal of the specific Oromian liberation front or Oromian political party for it includes all the hitherto mentioned three terms (the short-term Oromian autonomy, the middle-term Oromian independence and the long-term union of independent nations) as a possible outcomes. It seems here is the “ambiguity” of Oromo nationalists in OLF-SG, if their rhetoric about this unspecific kaayyoo is not only tactical. – Walfaanummaa (union): which has got also a double meaning (firstly, walfaanummaabefore/without walabummaa. i.e. federation and, secondly, walfaanummaa after/withwalabummaa, i.e. the union of independent nations). These are two of the three specific outcomes of the Oromo self-determination, so that any liberation front or political party claiming to struggle for walfaanummaa should concretely tell which of the twowalfaanumma’s it means. For instance, OFC clearly seems to struggle for walfaanummaawithout walabummaa, but which front/party is for walfaanummaa with walabummaa? The alliance AFD and with that the front OLF-SG? It is then better to describe the two concepts as walfaanummaa Ethiopia before walabummaa (Ethiopian union before national independence), and walfaanummaa Sabootaa after walabummaa (the union of nations after independence), respectively. Simply put, Oromo people’s kaayyoo, in general, can include all the above mentioned five concepts, but Oromo liberation fronts and Oromo political parties should be as clear and as concrete as possible, when they tell us their desired goal or when they advocate the type of the outcome of the process (outcome of the self-determination) for the Oromo people. – regional walfaanummaa sabootaa (walfaanummaa Ethiopia) without nationalwalabummaa (without walabummaa Oromia); for instance, the position of OFC. – national walabummaa biyyaa without regional walfaanummaa sabootaa, e.g. the supposed position of OLF-QC. – national walabummaa biyyaa WITH regional walfaanummaa saboota walabaa, which seems to be the position of AFD. Looking at these three options, the third one could be the beneficial, common and concrete END-kaayyoo for all Oromo liberation fronts. The other two options can be used as the two stops (Diredhawa and Adaama), respectively, on the route of our liberation journey from Djibouti (garbummaa) to Finfinnee (beneficial bilisummaa). What makes then specially our liberation fronts (rebel fronts) not to agree on the above possible common and concrete END-kaayyoo? I can understand when our democratic federalists (opposition parties) like OFC under Weyane’s gunpoint refrain from talking about such END-goal and overtly declare that they do struggle for Oromian autonomy in the Ethiopian context. But where is the hindrance of the liberation fronts not to agree? As a conclusion, from all the discussions done till now, we can say that Oromo nationalists serving the x-federalists and the fascist f-federalists should give up their irrationality and start to struggle for the minimal sort of sovereignty (Oromian autonomy in Ethiopian context) for their own people, Oromo. That means, they should now start to support the federalists in OFC. Other Oromo federalists, who do try to rally behind the mini-organizations registered for the “election” like AOPDP, GSAP, OALF, OLUF and ONC should also reconsider their stand, converge the vote of all Oromo people to one direction and elect the competent Oromo federalist party (OFC) instead of dispersing Oromo vote in futility. Last but not least, we could see during the last discussions during and after the OACC conference that there is no any significant ideological difference of kaayyoo among the different Oromo liberation fronts, which can hinder them not to forge unity and make them not to work together. They only need to be ruled by the Oromo tradition of ilaa fi ilaame and discuss on the way forward for the Oromo people. Then, the cooperation and coordination of the Oromo federalist movement with the Oromo liberation movement is the optimal condition to determine our fate in the NEXT step of our liberation journey and to plan a further move to the END. If united and empowered in such sense, we Oromo can make a difference not only in the empire, but even in the whole Horn. So let’s foster tokkummaa of kaayyoo/”unity of purpose”, and move together forward! * Fayyis Oromia can be reached at fayyis@yahoo.de.